Podcasting went through a true Renaissance in 2014. While the exact reasons for the sudden explosion in popularity of recorded audio shows remains debated, the attention contributed to the appearance of many new excellent programs. My rediscovery of podcasts in 2014 was fuelled by long commutes and the need to listen to something, which could be consumed in a short time span, typically about 40 minutes. Although I still enjoy listening to audio books, much of the second half of 2014 was dedicated to listening to podcasts. The undisputed leader in the second coming of podcasting. We can safely assume that much of the popularity that podcasts enjoyed in 2014 can be attributed to this one show. Created by the team behind the hugely popular This American Life, Serial follows the story of high-school student Adnan Sayed, who was accused and convicted in 1999 for the murder of his ex-girlfriend in Baltimore. The combination between a really complicated murder mystery case and (host) Sara Koenig’s soft and humane style of reporting is what makes this show my favorite this year. Another show coming from the team of This American Life. But podcasts about entrepreneurship are dime a dozen, right? What makes Startup special is that Alex Blumberg documents the launching of his podcasting business in real time. He also admits he knows next to nothing about starting and running a business. Startup is not the podcast that would replace the Stanford class in entrepreneurship, but it is the story of what goes behind the curtains of starting a company, told in the most human way possible. This is the show that started it all for me. 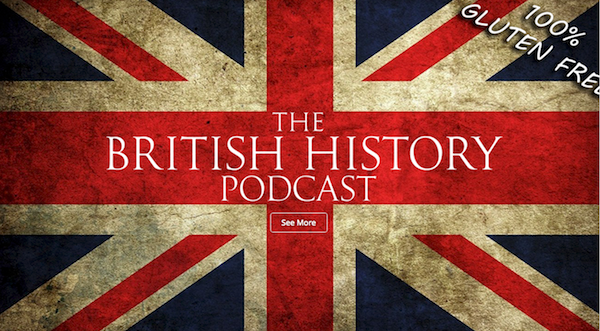 I’ve been interested in learning more about British History for a while and since I was already listening to a lot of audiobooks on the way to work (and back) I thought about looking for a podcast which might be a good way to oblige my interest. The BHP is not a podcast that started in 2014 and I haven’t even reached the most current episodes (it’s ~150 episodes in and still running — I’ve only listened to about 50 episodes starting from the very beginning), but it really got me into the whole podcasting thing. The show is also incredibly well produced and I find it very difficult to believe that the host Jamie is an amateur and that it’s not produced professionally. For those interested in British politics and current affairs, this is a must-listen. A weekly recap which covers the most interesting and important stories of the week, the Guardian adds value by way of excellent commentators who help lift the veil on what goes on behind the curtains in British politics. The strength of the show is demonstrated not only in the combination of topics and analysts, but also in the format of the program – a weekly recap of 30-40mins in which the most important events of the week are discussed in great detail by contributors who really know their area. Update: Tim Taggart has made a collection of the best podcasts of 2014 according as measured by the most mentioned podcasts in blogposts such as the one you’ve just read. You might want to check it out.